Bundesliga | Corentin Tolisso: "I know I can play the Bundesliga way! Tolisso scored, completed the most passes and had the most touches of any player on the pitch against Bayer Leverkusen. Corentin Tolisso: "I know I can play the Bundesliga way!" 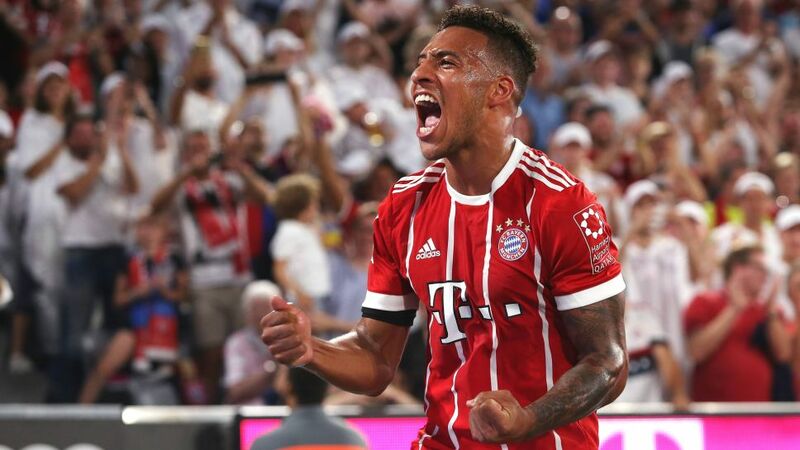 Corentin Tolisso’s Bundesliga debut could not have played out any better on Friday night: It was not just his goal that made it a dream night in Munich, but his utterly dominant performance across the pitch, covering the stats boards with French flair from the Bayern Munich midfield. In an exclusive interview with bundesliga.com, the French international describes his first weeks with the record champions, and explains why the Bundesliga has already been a lot of fun. bundesliga.com: Corentin Tolisso, could you have dreamed of a more perfect Bundesliga debut? A win, a goal and an all-round dominant performance in your first Allianz Arena appearance? Corentin Tolisso: Of course I’m delighted to have scored my first goal in my first Bundesliga game. But what was more important was that we were able to start with a win and provide a convincing performance. All in all, I can rate our opening game as a success. Watch: Corentin Tolisso's first interview following Bayern's win over Leverkusen on Friday! bundesliga.com: Can you describe your goal, which made it 2-0? Tolisso: At a corner I ran to the near post, and then I saw that the ball was heading towards the back post, Arturo Vidal saw me and set me up with an incredible volley. Then all I needed to do was head the ball in the net. After that, it was an indescribable feeling. bundesliga.com: It looked as if you had been playing together with Arturo Vidal for several years. Tolisso: That’s right. I have always admired his fighting spirit and incredible attitude. I’m very happy to be able to play alongside him in a team. We complement each other very well already and our interplay will get better from game to game. bundesliga.com: How were you actually feeling before kick-off, ahead of your first Bundesliga match and first ever game abroad from France? Tolisso: Of course it was a very special night for me. I didn’t sleep badly the night before the game, but I was definitely a little nervous before kick-off. I think that is understandable, though, because it was my first Bundesliga game with Bayern. My parents and a friend of mine were also in the stands at the Allianz, so I wanted to have a great debut. I believe I succeeded. bundesliga.com: You seem to have become acquainted with the style of Bayern’s play very quickly. How do you explain your fast and successful integration so far? Tolisso: From the very first day with Bayern I’ve had a great feeling here. We're improving every day in training, but it is important that we continue to work hard to achieve our goals and win as many games as possible. bundesliga.com: After the Supercup in Dortmund, and now following your first league game, do you feel like the Bundesliga is the place for you? Tolisso: Even when I was with Lyon I followed the Bundesliga regularly and watched a lot of really spectacular games. And I know that I can play the Bundesliga way. It is constantly attacking, and I really like that. In addition to that, the Bundesliga has many strong teams. Because of this, we are going to have to work very hard to meet our expectations if we are going to become Bundesliga champions. bundesliga.com: Bayern are considered favourites to win the title. Which teams do you see as the biggest threat to a sixth consecutive championship? Tolisso: RB Leipzig didn’t finish runners up by chance last season and they have strengthened their team well. I guess Borussia Dortmund are also just as strong. But if we work hard on ourselves and go with the correct attitude into each and every game, I am totally convinced that we will defend our title again. We’re just going to try and win every game. Click here to read more Bayern news and features!